One of the questions that often came up when I was IBM’s Chief Accessibility Officer was, “How do you justify accessibility in a corporate setting”? My answer has always been: “It has to come from the top, the very top”. Setting the tone at the very top is necessary because accessibility fundamentally is about doing the right thing. And in companies, especially profit-seeking companies, doing the right thing can get tested, especially when revenue is down and profit is diminishing. However, a good company, just like a good government, has to make certain moral choices when times get tough. This can be done if the leader holds true to his/her beliefs. By doing so, he/she will inspire others to come up with smart solutions that will not only work but have a lasting impact. One such great leader was Abraham Lincoln, whom I learned about when visiting Gallaudet University in Washington DC back in 2007. On April 8, 1864, President Lincoln was very preoccupied, as that was the day the U.S. Senate approved the 13th Amendment to the Constitution,which ended slavery, on a vote of 38 to 6. The Civil War’s third year was nearing a close, and its bloody fourth was about to begin. Lincoln found a moment that day to sign a bill of interest to a Senate committee regarding the District of Columbia. It authorized the Columbia Institution for the Deaf and Dumb and the Blind to award degrees “in the liberal arts and sciences . . . as are usually granted and conferred in Colleges.” With the signing of this document, Columbia Institution for the Deaf and Dumb, later known as the Gallaudet University became the world’s first (and still only)college for deaf people. Every time I think about this, I cannot but admire President Lincoln’s leadership. He was leading the country at an extremely challenging time. The Civil War was raging on and resources were few. He could have taken an easy way out by thinking this action only affected a small number of citizens and really did not provide immediate or substantial “return on investment”. And yet he carved out a moment anyway to address the needs of the deaf and hard of hearing. Now 150 plus years later, GallaudetUniversity continues to produce the bright-minded graduates who make a difference in the world, despite their deafness and hard of hearing, everyday. I can attest to that, as I personally hired a couple Gallaudet graduates onto the IBM Accessibility team. I think all leaders, especially leaders of the highest standing, should have the vision, courage and resolve to follow through on their beliefs, no matter what the circumstances are. This is the only way they can help lead a country or a company into a better place. 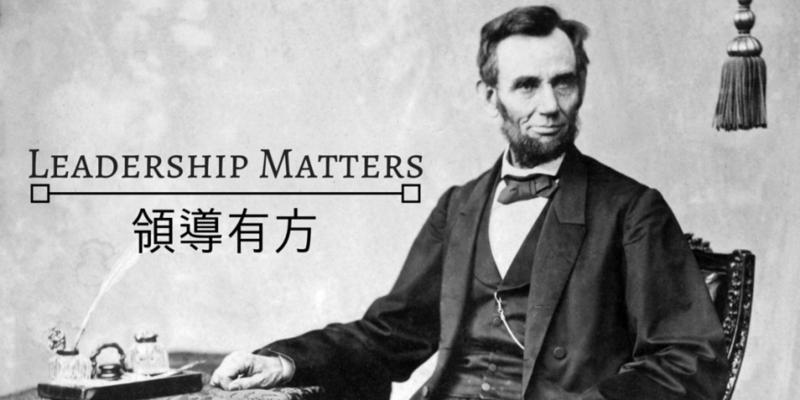 May this inspire all of us to be a better leaders, as Leadership Matters 領導有方, especially during the challenging times we are experiencing now, on the day of the 26th Anniversary of ADA. Find more information on Gallaudet University here.